The Pro Series Spinning Neoprene Rod Glove is 5.5ft in length and is designed to fit fishing rods measuring up to 7ft 6in in length. The high quality Neoprene construction provides the very best in fishing rod protection and removes the concern of guides popping through the braided mesh sleeves. 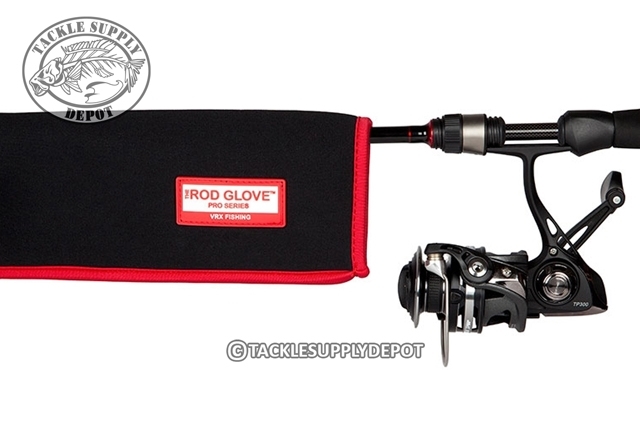 Great for storing in rod lockers and eliminating tangled lines, the Rod Glove Casting Pro Series are prefect for protecting and organizing your investments. Endorsed by professional anglers, Gerald Swindle, Brent Ehrler, Dave Wolak, Gary Dobyns.